Are Australians aware of the mess that is Australian innovation policy, asks Rachel French. JUST DAYS into his Prime Ministership, Scott Morrison has cut innovation from his ministry. Liberal MP Karen Andrews will instead act as the Minister for Industry, Science and Technology. Andrews believes that ending the innovation ministry and integrating it with science would help ordinary Australians better understand innovation. The patronising nature of her remarks aside, it raises the question: are Australians aware of the mess that is Australian innovation policy? Former Prime Minister Malcolm Turnbull’s leadership was characterised by a failure for innovation to "catch on" amongst his conservative colleagues. 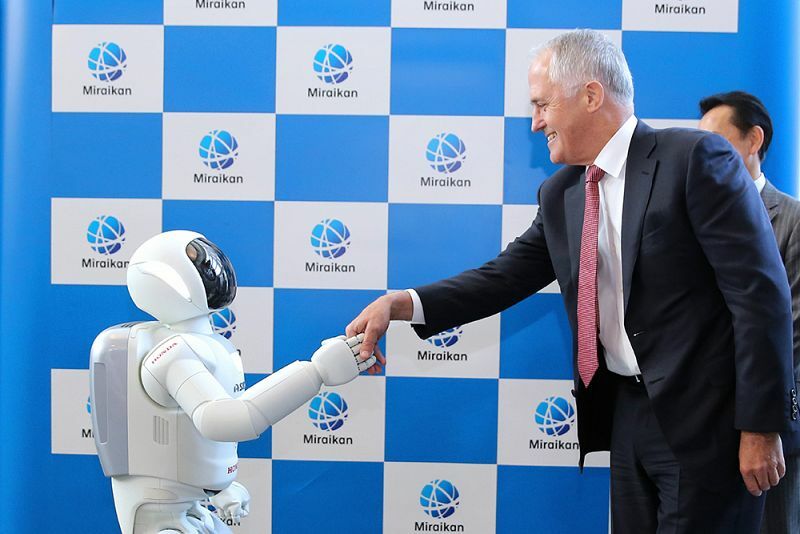 Turnbull attempted to make technological innovation his signature policy by making it central to policies across the ministries. In 2015, Australia was ranked 17th on the Global Innovation Index, yet 72nd in terms of turning research into commercialised outcomes. Australian innovation policy is primarily structured around public investment into research and development (R&D), and the commercialisation of results into intellectual property, primarily through venture capital. Australia has been responsible for some incredible inventions, such as WiFi technology, Google Maps and cochlear implants. Yet Australia still lags behind other OECD countries in innovative power. This is due to the Coalition Government’s inability to develop a long-term innovation plan. In 2009, under Labor leadership, the Department of Innovation, Industry, Science and Research (DIISR), released a report detailing their decade-long plan: 'Innovation Agenda for the 21st Century'. The report defines the (neoclassical) role of governments to correct market failures, noting that ground-breaking innovation requires long-term investment and sustained commitment. In 2015, Turnbull launched the "ideas boom" with Australia’s National Innovation and Science Agenda (NISA) following the belief that Australia had a fundamental disconnect between research output and commercialisation. The report introduced tax incentives to help overcome challenges with access to start-up capital and directed money towards public science. It established several funds to support the commercialisation of innovations in conjunction with research organisations and to strengthen ties with the private-sector. It invested in education, streamlined immigration to encourage more skilled migrants and increased opportunities for women. After analysing innovation reports over the years, it is clear that they are repackaged versions of a previous one — only with a different catchphrase. They continue to fail to address long-term problems, leaving Australia with an innovation deficit. The neoclassical belief of limiting the role of governments to fiscal policy and correcting market failures has led to a continued lack of funding of innovation. This is true of the first federal attempts to support innovation, which began in 1916. The Advisory Council of Science and Industry was insufficiently funded and struggled under bureaucracy — a recurring problem for the innovation sector. Eventually, in 1949, the Commonwealth Scientific and Industrial Research Organisation (CSIRO) was created. In 2007, the CSIRO accounted for ten per cent of publicly funded R&D and has had to increase partnerships with industry and shift operations to a more commercialised focus in order to remain competitive. Initially, the CSIRO was operating under the notion that obviously, public investment would result in national benefit, fostering a casual attitude towards commercialisation of public research. This attitude changed with the progression of the economic system. With purveyors of the "free market" calling for the private sector to provide most of the funding, the CSIRO changed directions and focussed its productivity towards products with commercial value. Scientists at the CSIRO invented atomic absorption spectroscopy, Wi-Fi, polymer banknotes, among others inventions. But then they had their funding cut, and haven't done anywhere near as well. But yeah, this blockchain test is meh. Federal innovation platforms often have failed to account for the role of state governance. The effect of state government intervention has contributed to a grey area of innovation policy — with neither government committing, nor funding, the programs necessary to advance the innovation system that Australia needs. Recently, the newly-elected South Australian Liberal Government released their first State Budget in 17 years. It cut funding for several innovation and technology programs, shifting away from a grants-based industry assistance approach. TechInSA, an agency that is in charge of state industry development agendas and supporting start-ups, has been scrapped. Instead, the research, Commercialisation and Start-up Fund was created. The new fund is designed to be an alliance between universities and researchers to help solve problems, establish start-ups and commercialise new products. It is important to create connections between the private and public sector. Creating a unified vision for innovation will assist this. The Innovation Minister in Victoria, Labor’s Philip Dalidakis, is shocked by the Federal Government’s omission of innovation from the Cabinet. Dalidakis has worked with six different federal counterparts while the Liberals have been in office and says the lack of commitment to the innovation portfolio sends a negative message to the public and leads to uncertainty for business. LaunchVic, an independent agency which provides funding for start-ups and entrepreneurs, aims to keep up with the global innovation ecosystem. With the aid of a dedicated innovation ministry, it has supported 50 start-ups in two years. If the Federal Government were as committed to innovation as they are to in-fighting, perhaps we would be in the midst of an innovation boom, rather than a leadership crisis. The Entrepreneurial State, written by Mariana Mazzucato, outlines the seldom discussed role that the U.S. Government and related military enterprises have played in innovation. It shows that the majority of the technology in the iPhone was actually developed by the state — not Silicon Valley geniuses, as the common rhetoric suggests. The military-industrial complex aside, the Australian Government should embrace a similar role. The government and its related enterprises should set the direction for innovation, based on the demands and requirements of the changing economy. Mazzucato’s approach is different from the neoclassical one purveyed by the Australian Government. While incentives to innovate stem from a desire for higher economic growth, creating a direction for innovation will shape the future society. The incompatibility of public science and global business have contributed to these problems. Public science is largely funded by national and state governments and expected to provide public benefit. Business systems have become globalised due to trade, investment and the integration of activities between countries. Global business has made it difficult for countries to capture the benefits of public science, yet they still depend upon it for innovation. Thus, the gap between the government and business, and public and private, needs to be closed. Using a neoclassical model – which fundamentally bases policy on market failures – has caused policies to attempt to copy normal market outcomes by implementing taxes and subsidies. By perpetuating "free market" ideals and Silicon Valley dreams, the Australian Government’s role in the innovation sector has been minimal at best. At worst, it has allowed Australia to fall behind. Innovation policy in Australia remains uncertain. The changing combinations of science, education, technology and innovation ministries have directly influenced the lack of productive innovative outcomes. Australia needs an innovation system that not only accounts for a spontaneously changing prime ministers but provides a comprehensive direction for innovation — one that lasts longer than the electoral cycle. Innovation policy should not be a partisan issue; it needs to go beyond tax incentives and begin taking an active role in promoting the direction of innovation.